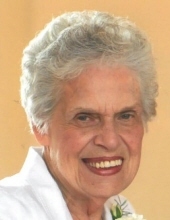 Mildred “Mickey” Thaxton, 87, of Peachtree City, GA passed away April 13, 2019. Mrs. Thaxton was retired from F.C. & A. in Peachtree City, GA. She was also a member of Christ’s Church at Whitewater. She is survived by her daughters, Terrie (Anthony) Thuman and Tammy (Bill) Lackey; son, James Michael Davis; stepdaughters, Sheilah (Wayne) Doyal, Olivia Thaxton, and Lynn (Larry) Elzey; grandchildren, Michelle, Ashley, Trey, Nicholas, Cassidy, and Abby; 5 great-grandchildren and 1 great-great-grandchild. A funeral service will be held Tuesday, April 16, 2019 at 2:00 PM in the Chapel of Mowell Funeral Home, Fayetteville. Burial will follow at Crest Lawn Memorial Park, Atlanta, GA. The family will receive friends Tuesday, from 12:00 to 2:00 PM prior to the service at the funeral home. In lieu of flowers, the family requests donations be made to Southwest Christian Hospice at swchristiancare.org. To send flowers or a remembrance gift to the family of Mildred "Mickey" Thaxton, please visit our Tribute Store. "Email Address" would like to share the life celebration of Mildred "Mickey" Thaxton. Click on the "link" to go to share a favorite memory or leave a condolence message for the family.